Mahathir is a quick thinking political animal who believes he has an answer to every question and a solution for every problem. His visions of development are on a pharaonic scale and he is a law unto himself. He has never concealed his disdain for democratic ideals, lamenting that the Great Unwashed are not quite ready to think for themselves. Having ensured while he was education minister that students be vigorously discouraged, if not disallowed, from independent thought, he secretly feels that the ignorant and dull-witted masses should not be allowed to vote. Elections, therefore, are seen as a necessary evil but - with a little help from a compliant election commission and national registration department - they can be circumvented by systematic gerrymandering, postal and phantom votes, and a heavily rigged electoral roll. So long as the votes are in his favor, Mahathir will tolerate the concept of a guided democracy. 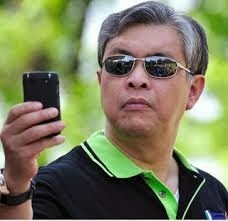 To ensure that he remained in power indefinitely, he made the post of Umno president virtually unchallengeable. He sacked every deputy who posed a serious threat to his dominance, and promoted self-serving spineless sycophants to ministerial positions. 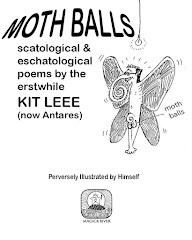 He castrated the monarchy in 1983, thus paving the way to ultimately appointing himself lifetime President of a gleaming new Malaysian republic – but he knew he had to bide his time with this grandiose ambition. 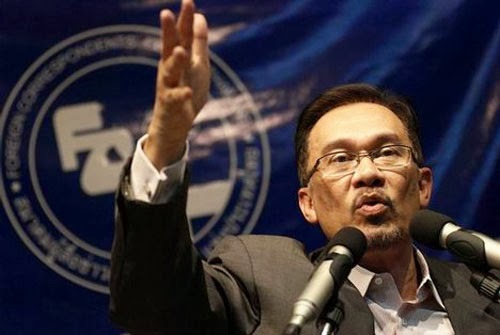 Alas, he had not reckoned with the tenacity of his erstwhile deputy Anwar Ibrahim - whom he sacked in September 1998 and then proceeded to crucify with an unimaginably malicious campaign to forever destroy his reputation and career. Anwar stood his ground and maintained his dignity, despite being imprisoned for 6 years on fabricated charges. 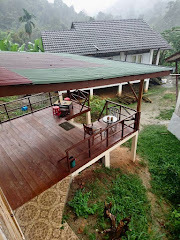 Mahathir’s vindictiveness backfired and Anwar’s popularity began to escalate, splitting the Malays into opposing camps. 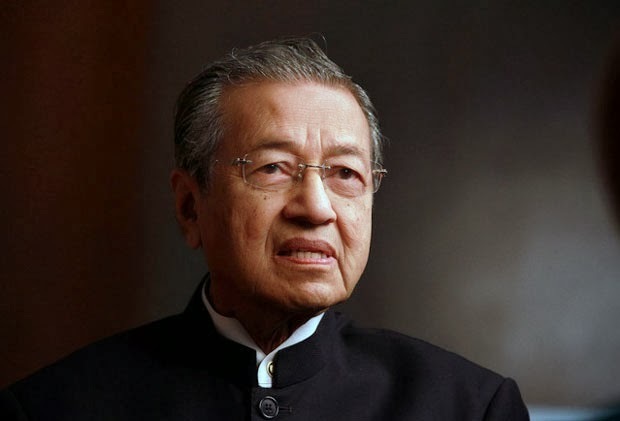 On 31 October 2003 Mahathir was forced to step down because he had become a grave liability to Umno – or, rather Umno Baru, the ersatz party Mahathir conjured into being in 1988 through sheer sleight of hand. But that didn’t stop Mahathir from daydreaming of a political dynasty. After all, his political enemies had established their own dynasties – why should he not aspire to the same? 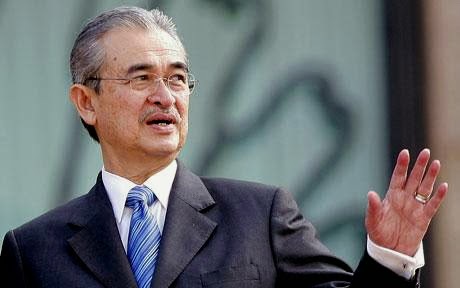 Working indefatigably behind the scenes Mahathir used his vast resources and an influential cabal of loyalists to undermine his successors, Abdullah Badawi and Najib Razak. Age was against Mahathir, so he would focus on ruling by proxy through his youngest son Mukhriz. Finally he managed to get Mukhriz, a political nonentity, appointed Mentri Besar of Kedah, Mahathir’s home state. The next step was to ensure Mukhriz a vice-presidency in Umno. 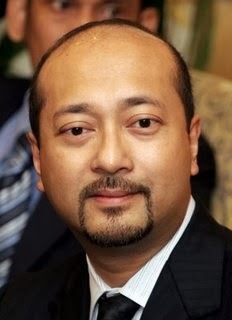 Despite all his efforts Mahathir has failed to get what he wants for his son Mukhriz. Like all megalomaniacs, Mahathir surrounded himself with devotees and worshipers, effectively insulating himself from the growing resentment and hostility of an increasingly well-informed electorate. His inflamed ego refused to accept the possibility that he was no longer relevant to the swiftly changing political landscape. 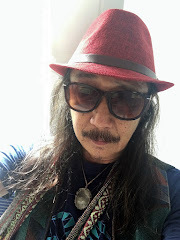 Umno Baru, the Frankenstein’s monster with a voracious appetite for instant riches that Dr Mahathir created, had acquired a will of its own and was no longer obedient to its creator. 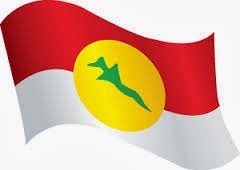 Now let us consider the winning candidates in Umno’s recent elections. Zahid Hamidi had campaigned vigorously to win the elections. As newly appointed home minister, Zahid had the advantage of incumbency and he rode the wave of communal paranoia stirred up by Mahathir to keep the races divided and easily misruled. Hishammuddin Hussein has a long and established family history in politics and government -plus he has Najib’s support and consent. The fact that he won by only a narrow margin indicates his failure to impress as a leader. Between Najib and Mahathir’s camps, the sentiment was less in Hishammuddin’s favor than it was against Mahathir getting his way – and the lion’s share of the goodies - once again. Shafie Apdal is basically a lone ranger and a newbie in national politics but he has the advantage of being an important minister at the federal level and has been in that position for almost two terms. This is the main factor that enabled Shafie to build nationwide support among the grassroots. Mukhriz Mahathir, on the other hand, was hesitant and only announced his candidacy at the last minute. He lacked self-confidence and could only resort to empty bluster. After entering the race he depended on his campaign manager, none other than his wily father, to promote him. As the youngest Mahathir scion, Mukhriz always had it easy. He made his fortune on business monopolies handed to him on a silver platter. So Mukhriz just sat back and hoped for the best. Mahathir underestimated Najib, who cunningly appeased Mahathir by agreeing to Mukhriz’s appointment as Mentri Besar of Kedah, where he could play big fish in a small pond – but without national level support, Mukhriz was unlikely to make much of a splash in Umno Baru’s vice-presidential contest. Until he achieves his objectives, Mahathir won’t leave well enough alone. That’s the nature of the vicious political beast in him - and he certainly won’t leave Najib Razak alone. Mahathir the Unstoppable may have officially relinquished the post of Umno Baru president and prime minister, but his unrelenting ego ensures that nothing short of death will bring his insatiable powerlust to an end. Even then, he will not quickly be forgotten, as the administrative mess he left behind will take at least another generation to sort out. Those who thwart Mahathir’s will face the full force of his vengeance. The man who ruled with an iron hand for 22 years is now on a do-or-die mission to reinstate his political influence and protect his self-aggrandizing legacy. Mahathir cannot defeat Najib on his own. He must have a team, the same scenario that Ku Li used when challenging Mahathir, with Team A pitted against Team B.
Mahathir realizes that his power is diminishing by the day, and the first thing he must do is to consolidate whatever resources he still controls. Since many of the UMNO leaders are now bowing to Najib and kissing his hand, Mahathir has to get help from outside UMNO: independent players, ultra-Malay NGOs and mercenary bloggers. He will have to spend a lot of money, which he can, of course, afford. 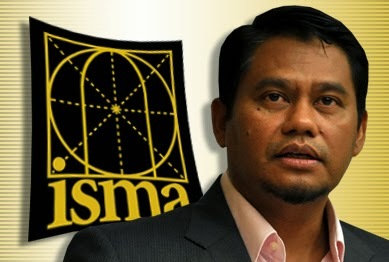 He will have to win the hearts of Najib’s enemies within Umno Baru. 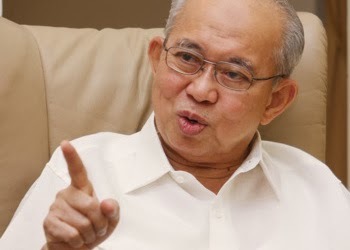 Fallen leaders like former Melaka Mentri Besar Ali Rustam who yearns to be restored to power and glory; Idris Jusoh, who covets the post of the Menteri Besar of Terengganu; and a handful who were offered obscure posts but dream of greater things. These are the ones who can be persuaded to be on Mahathir’s side. Mahathir will welcome those in the business community who have been left out by Najib - and there are quite a few of them now. They too are waiting for Mahathir to do something to make the situation right for them because Najib and Rosmah have closed the doors in their faces. Mahathir has to ensure that media like TV3 and Utusan will give him enough exposure to voice his thoughts, if not put him in the limelight so he can overshadow Najib. Mahathir still has his loyalists in these media - and he has to ‘persuade’ those who are pro-Najib to not totally ignore him. Besides empowering himself, Mahathir has to weaken Najib by sabotaging his network and loosening his grip. Mahathir has no choice but to depend on previous scandals and any new ones that may crop up: revive the old ones and blow the new ones out of proportion. Mahathir need not worry too much about getting external help to tarnish Najib’s image because numerous NGOs and the Opposition are already doing this. Mahathir now has to attack Najib by undermining Najib’s closest associates, his friends and family members. 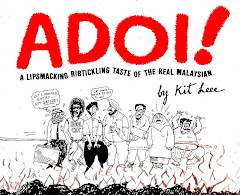 Mahathir will attempt to ridicule, if not disgrace, all of Najib’s appointees. The dust hasn’t really settled on the recent Umno Baru elections. Not by a long shot.